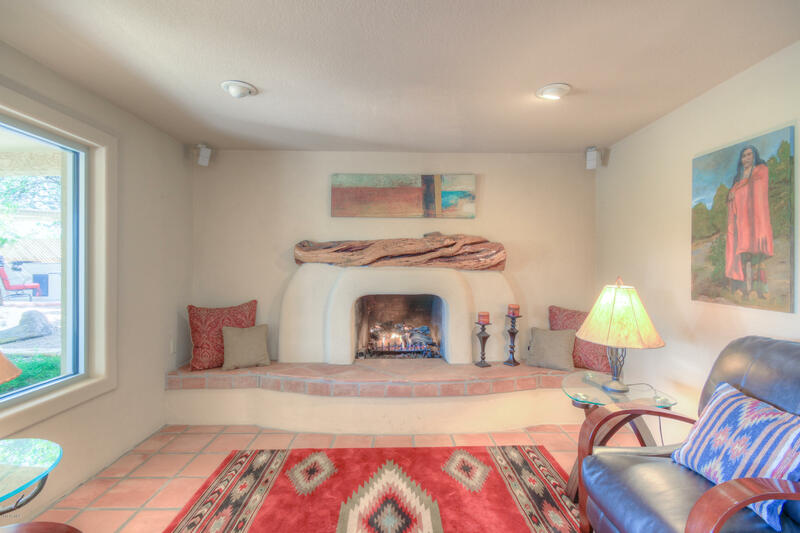 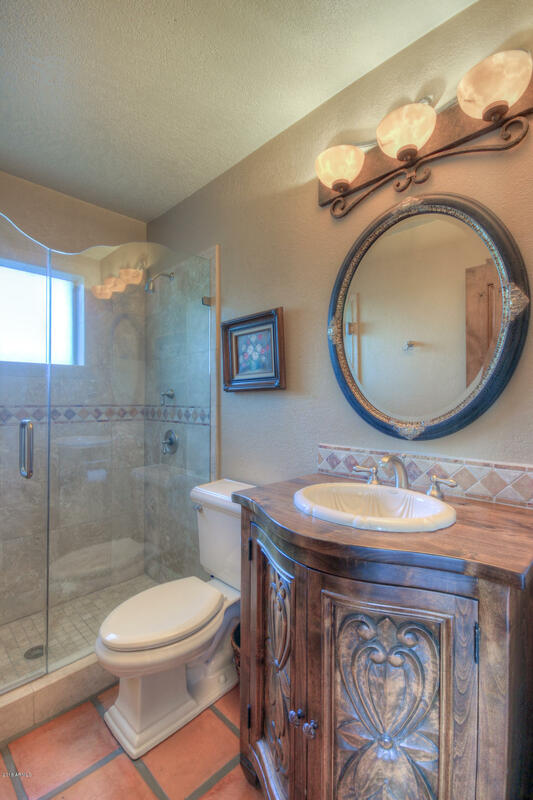 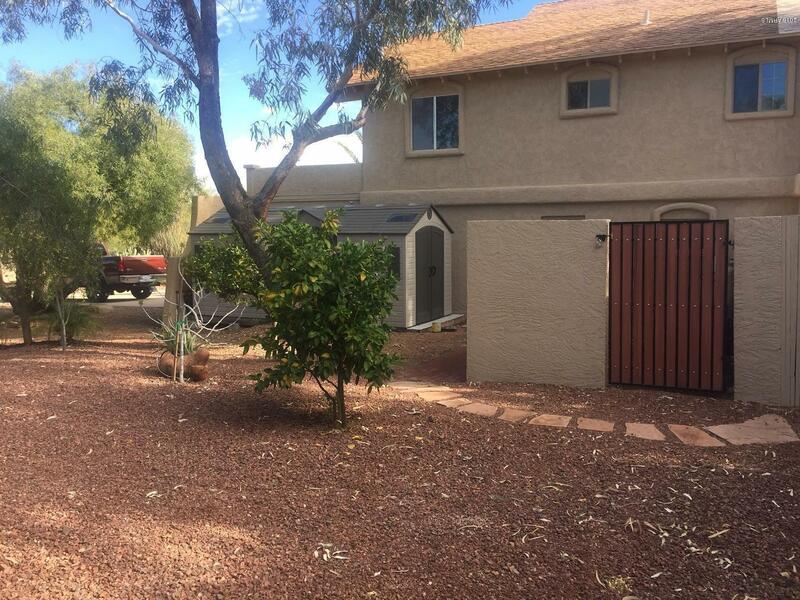 Beautiful 3 bedroom, 3 bath, 2698 sq. 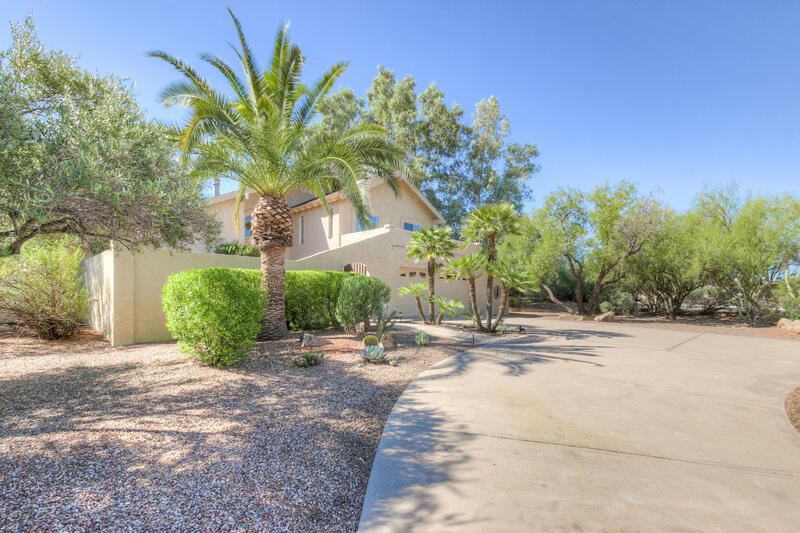 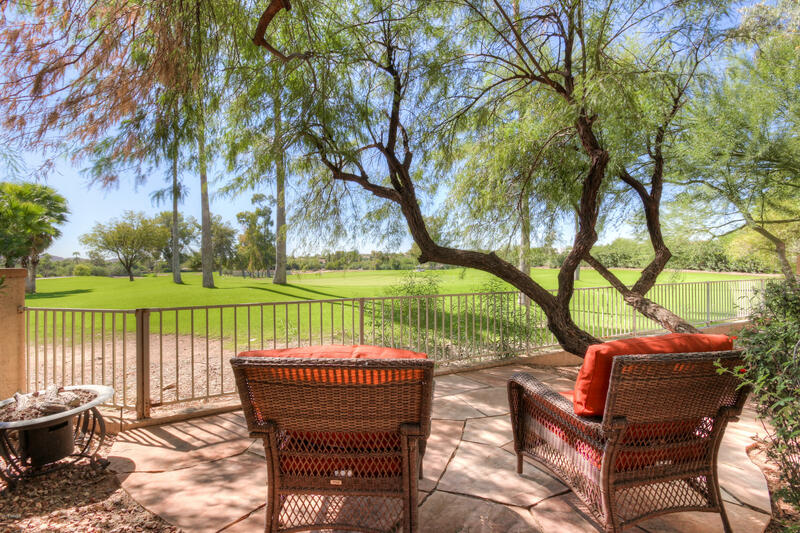 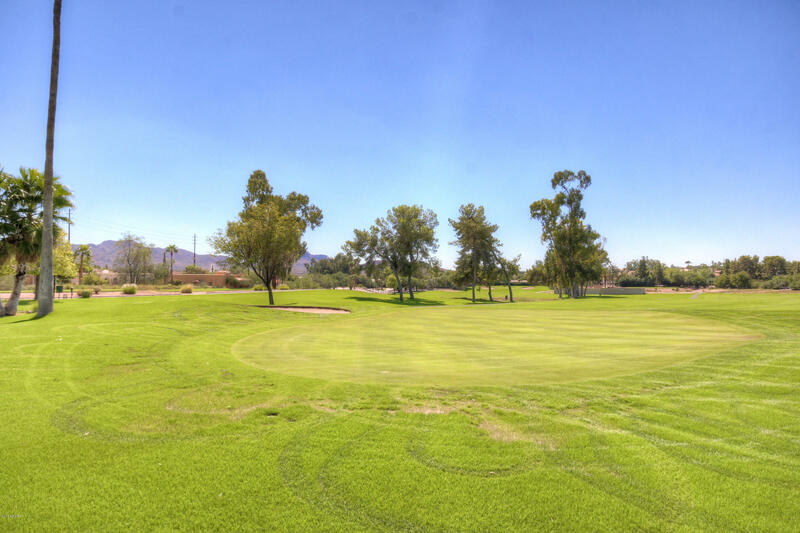 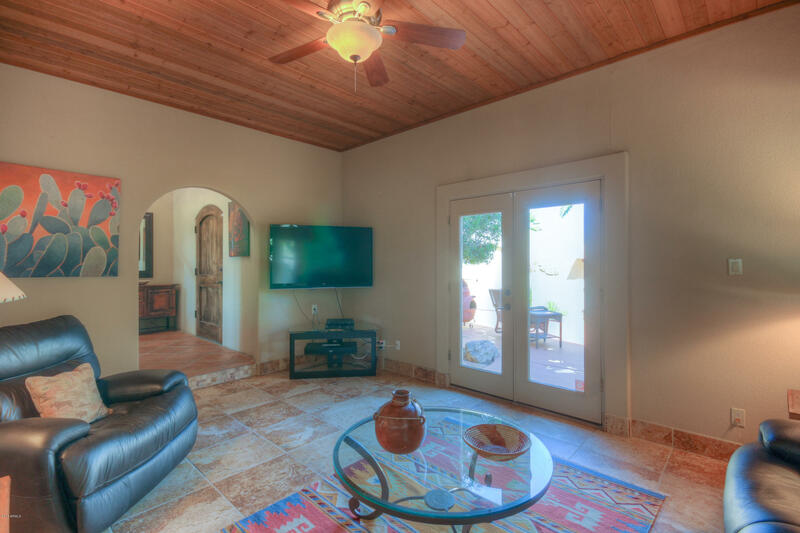 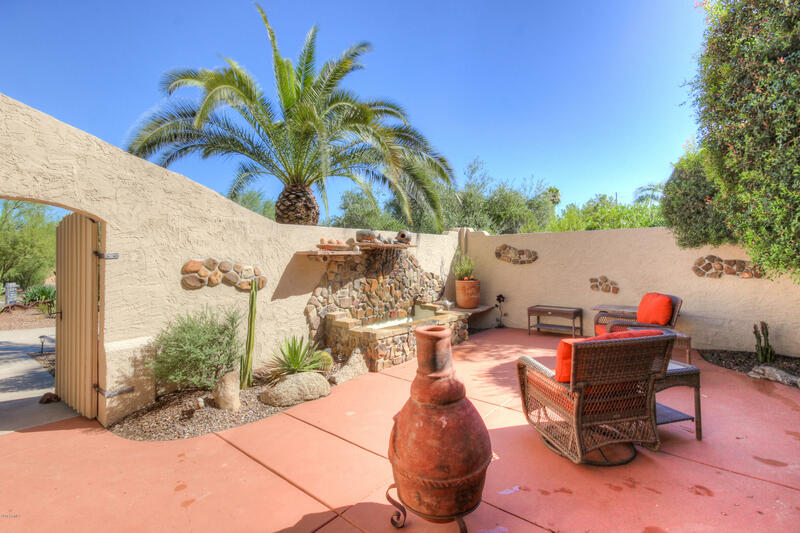 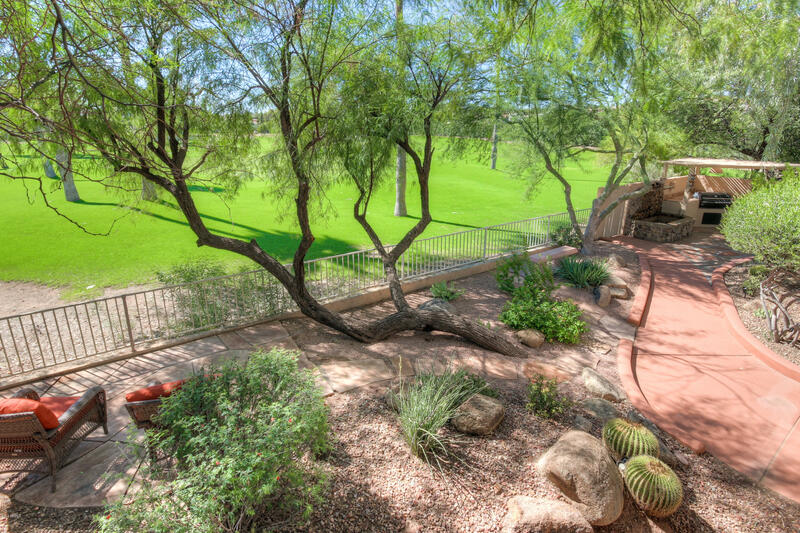 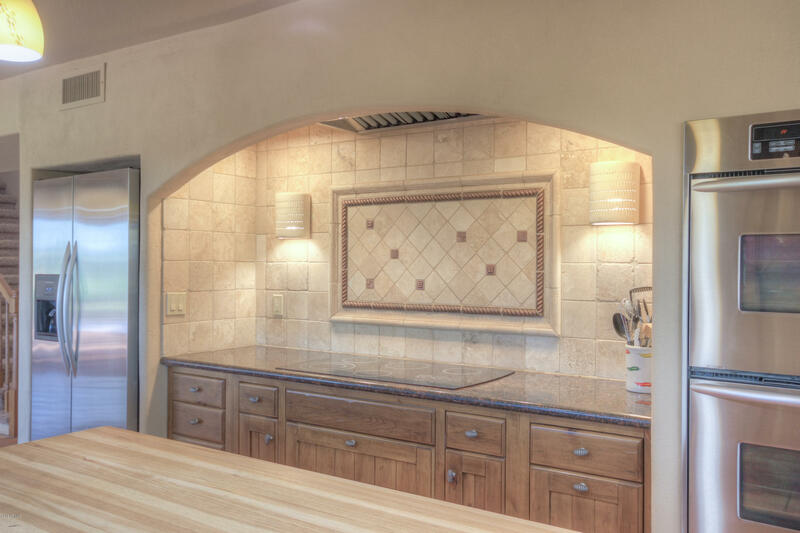 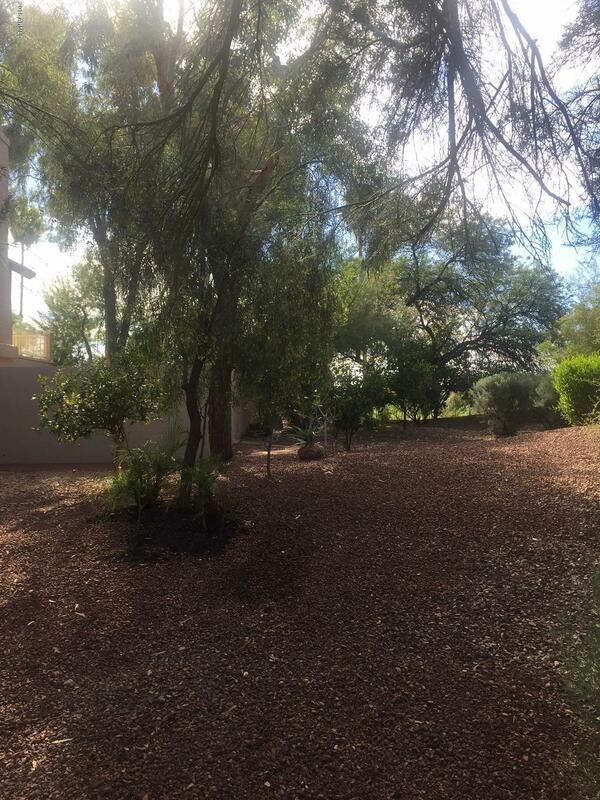 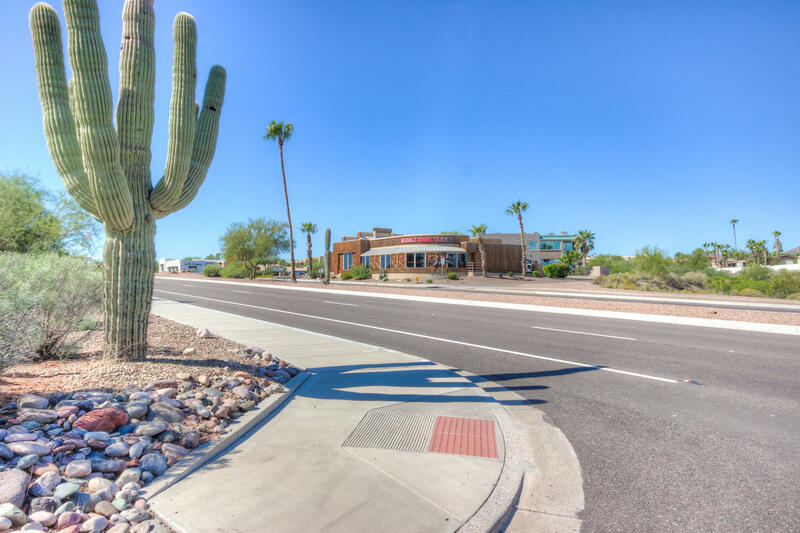 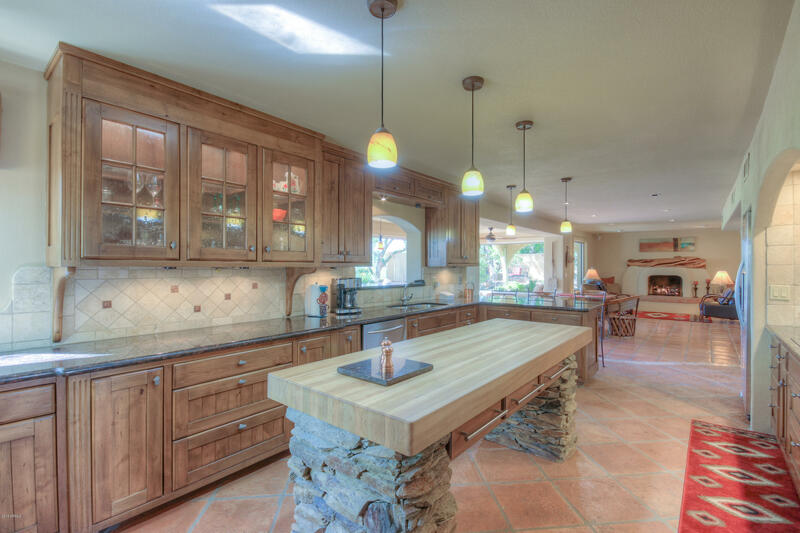 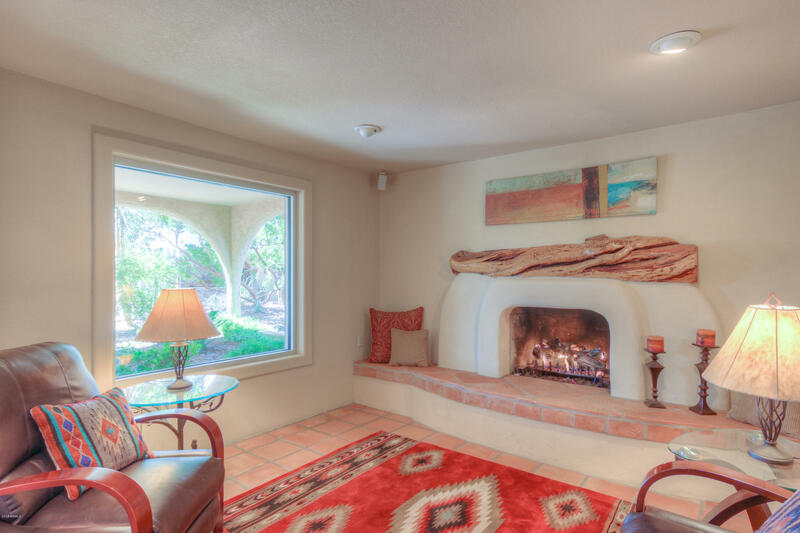 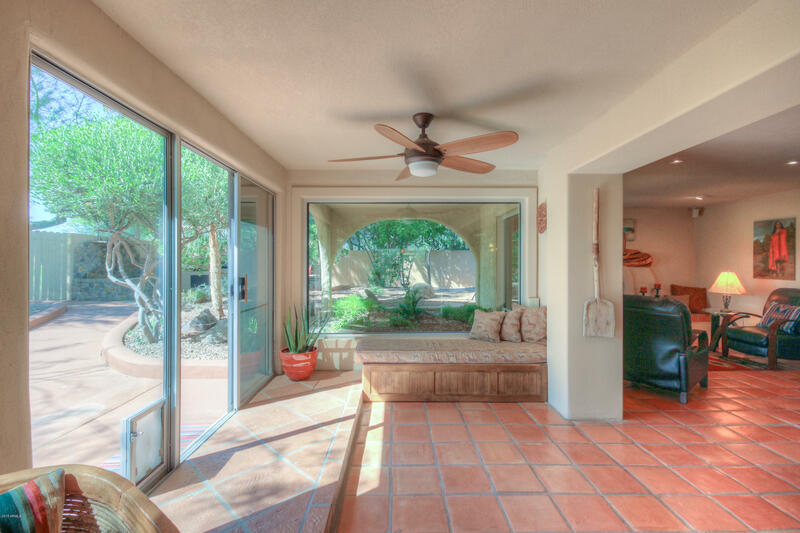 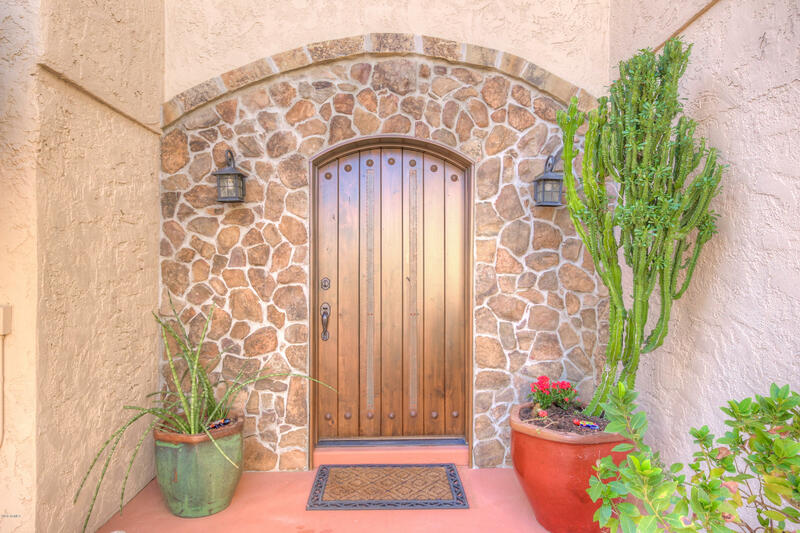 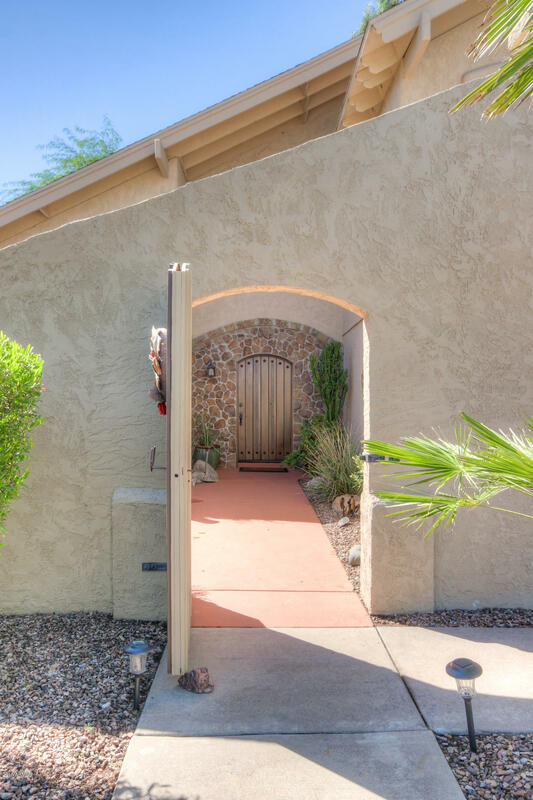 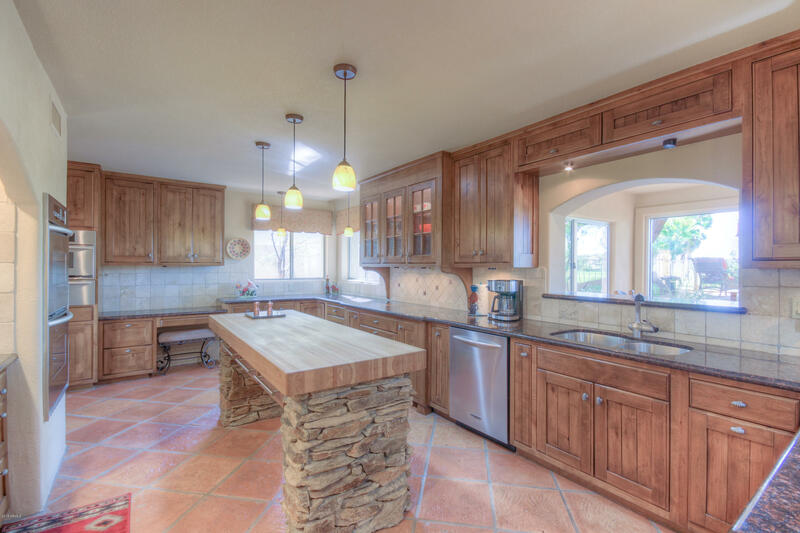 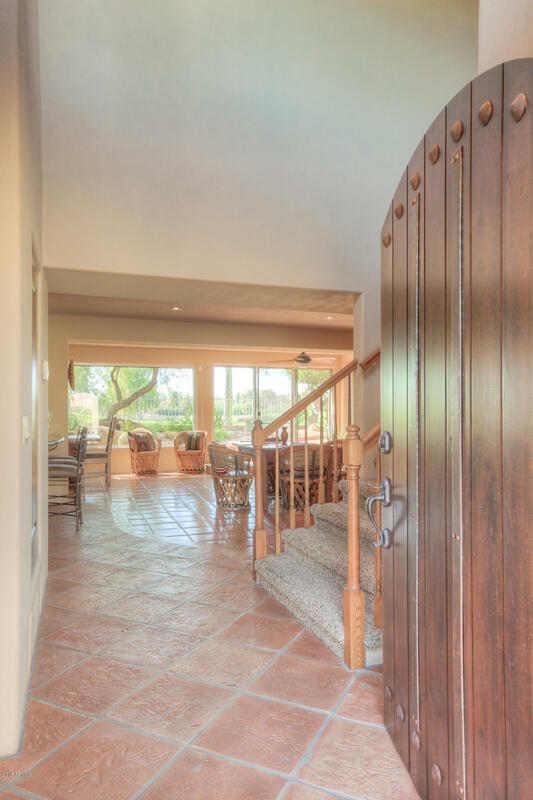 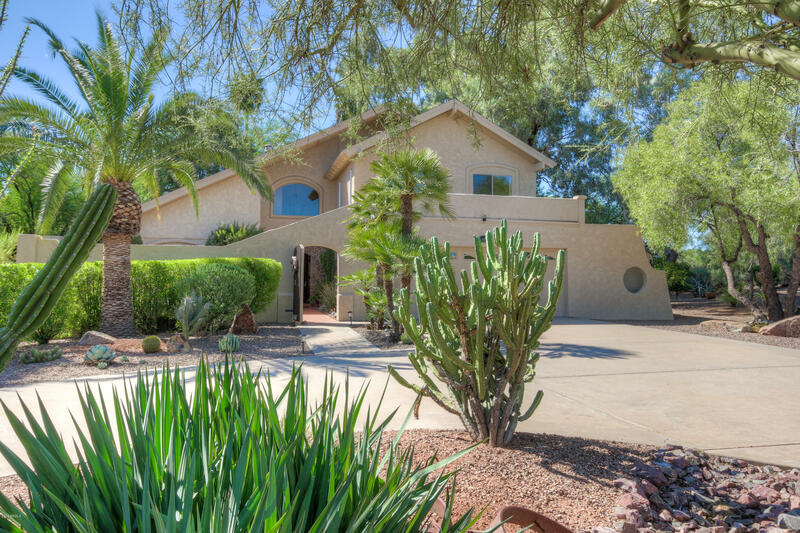 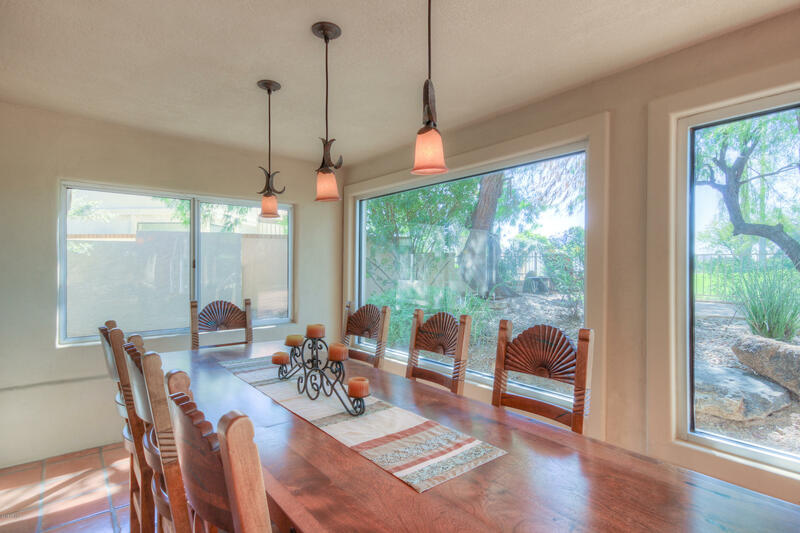 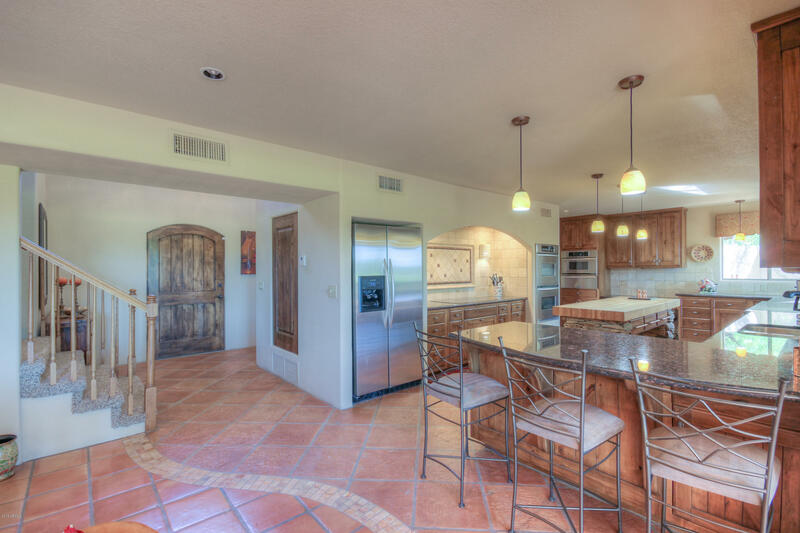 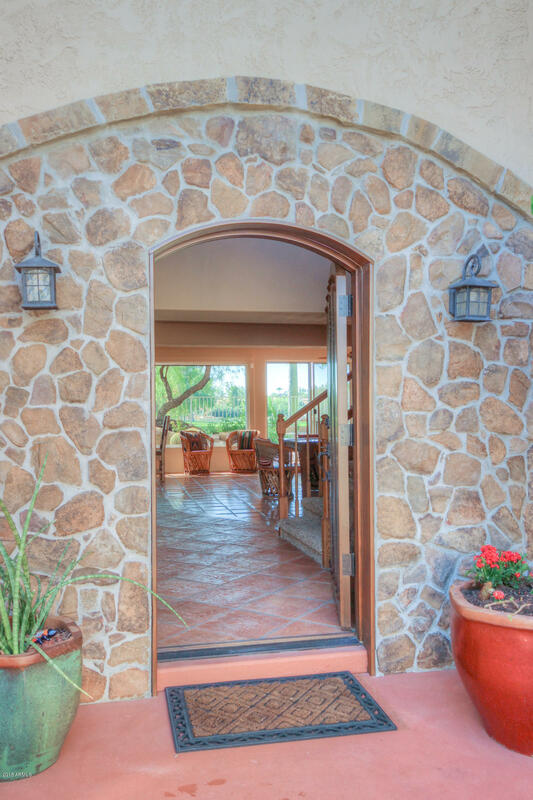 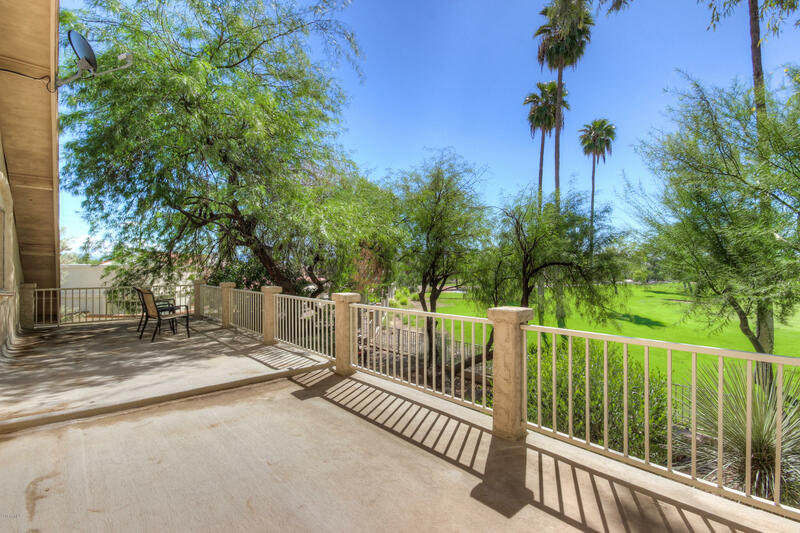 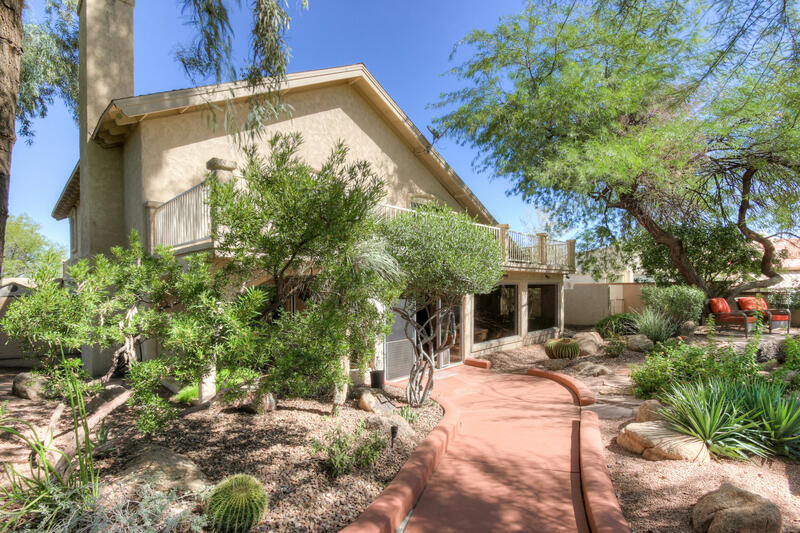 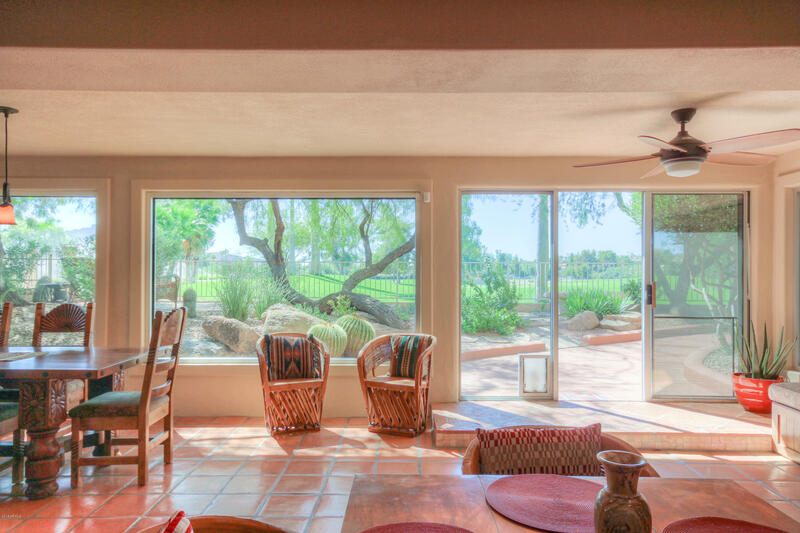 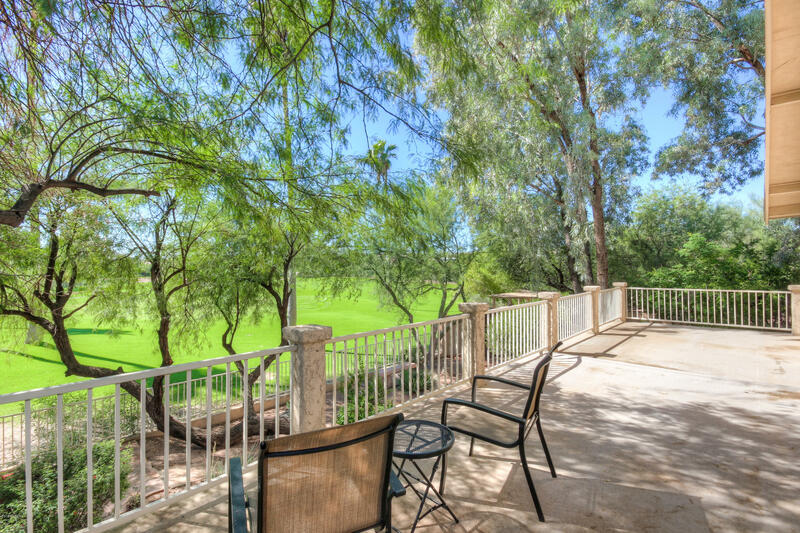 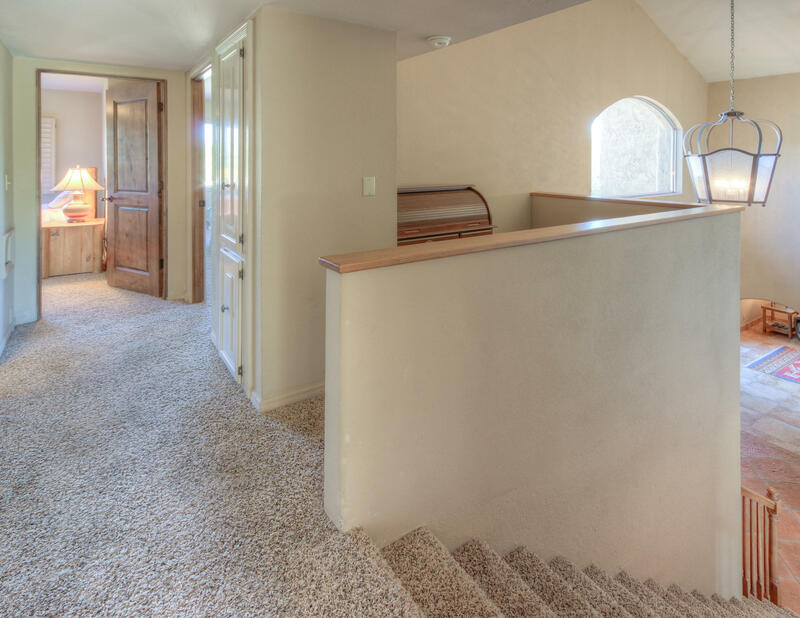 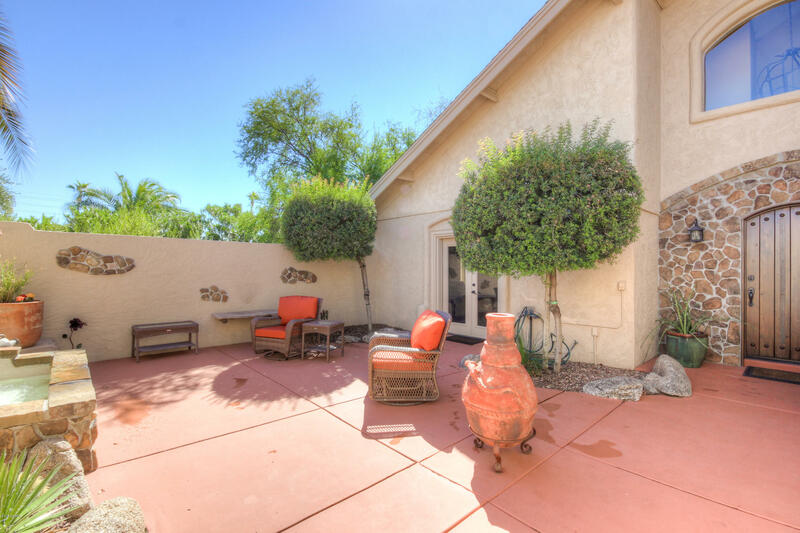 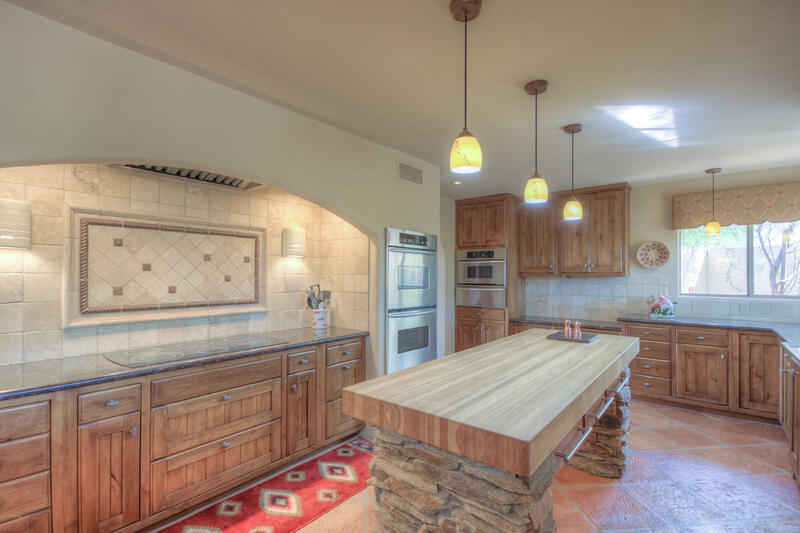 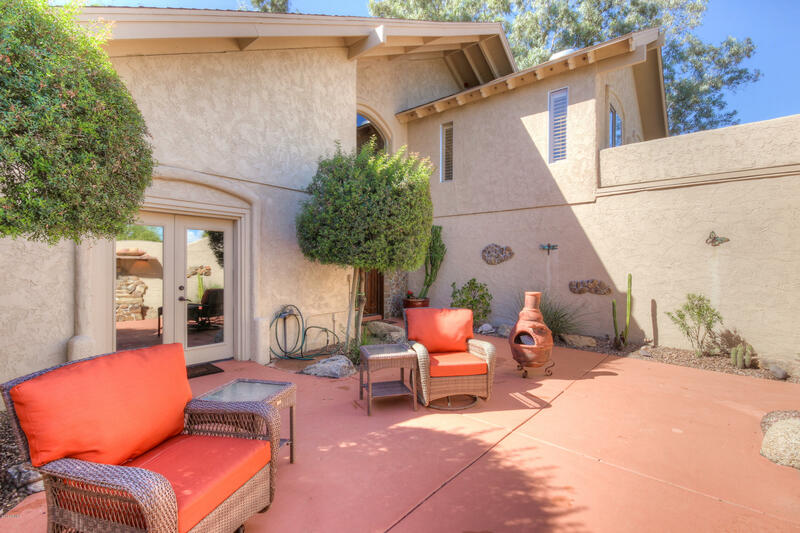 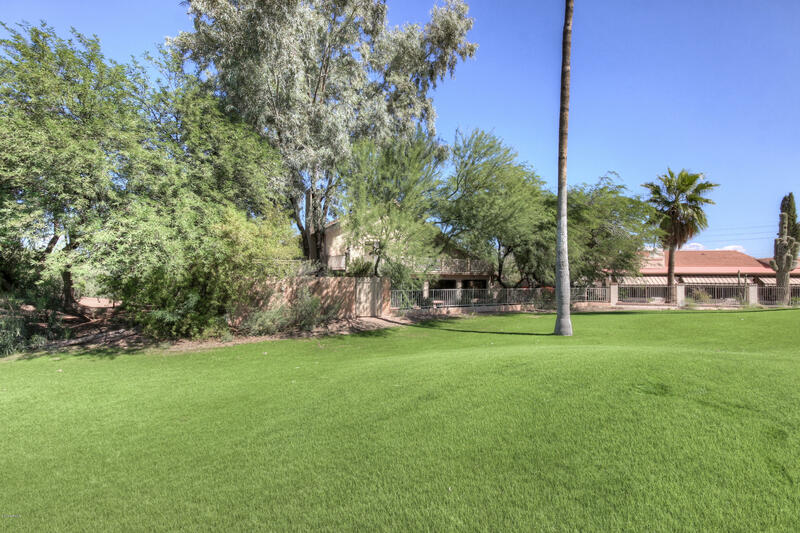 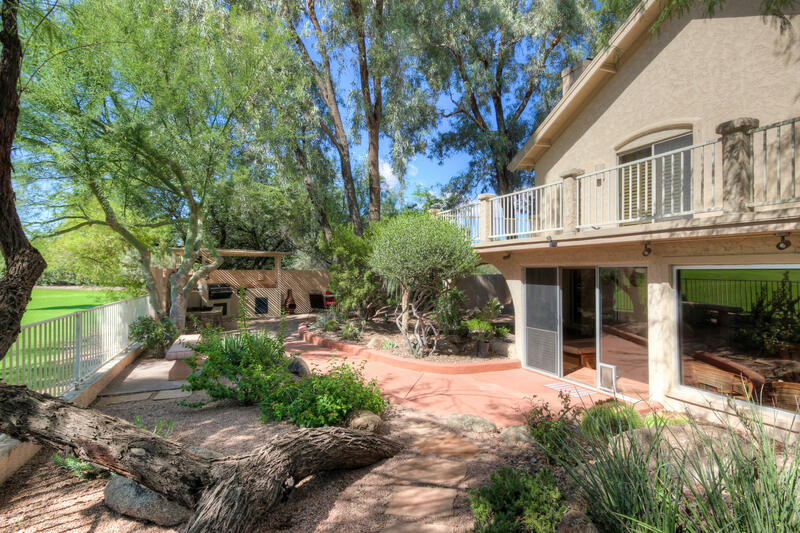 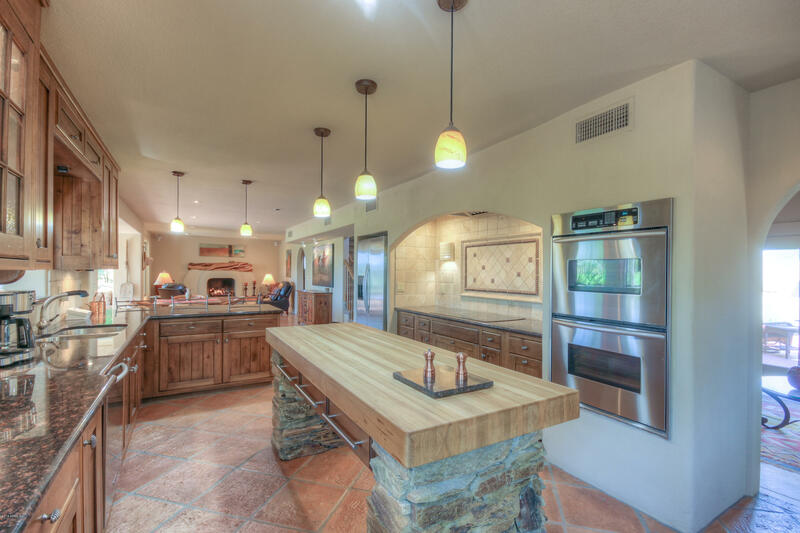 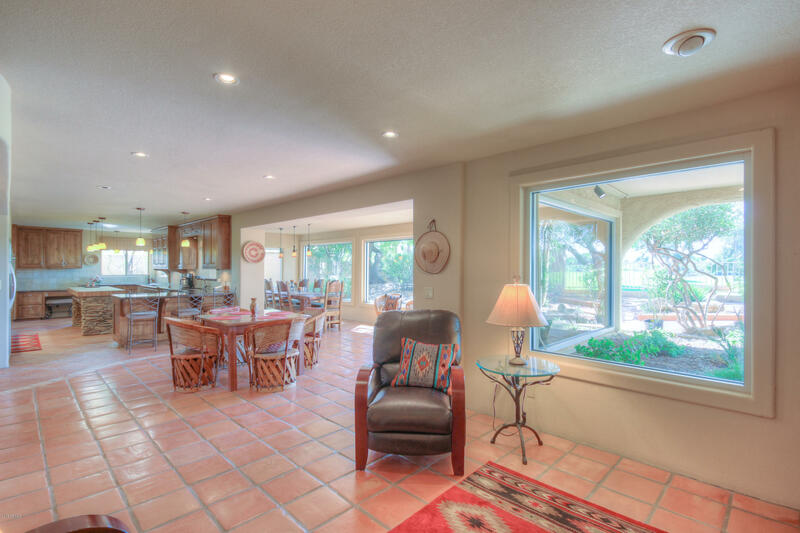 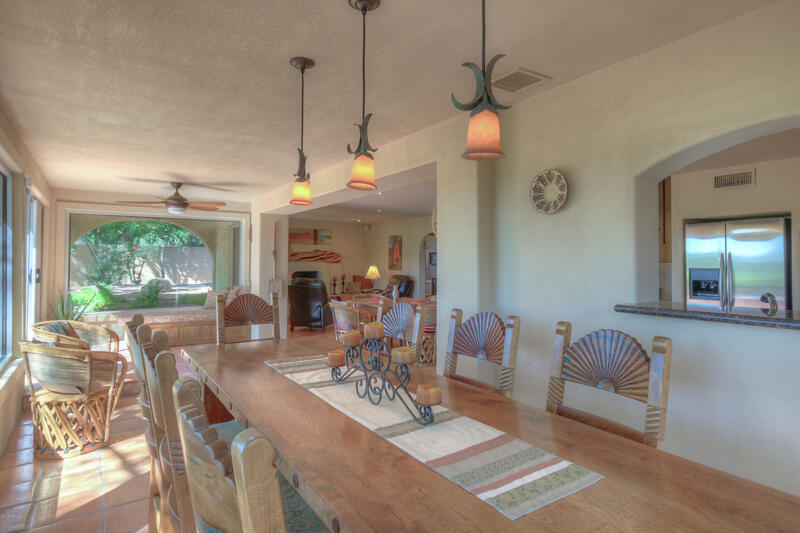 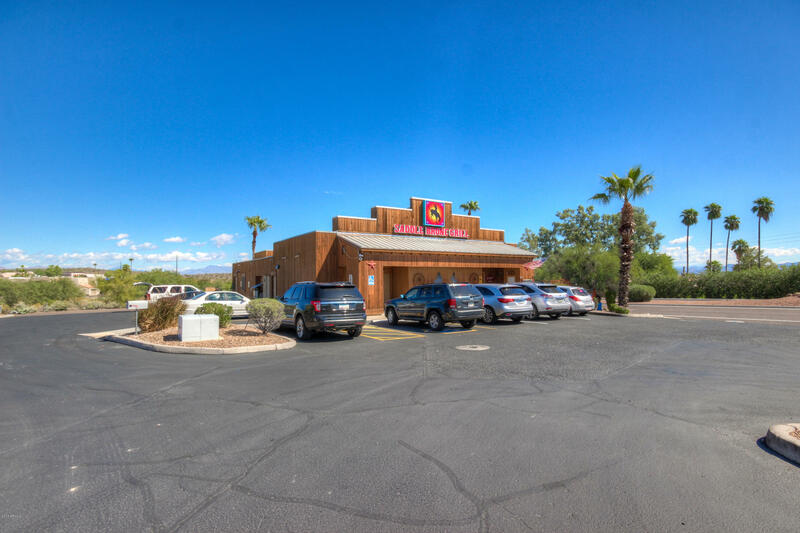 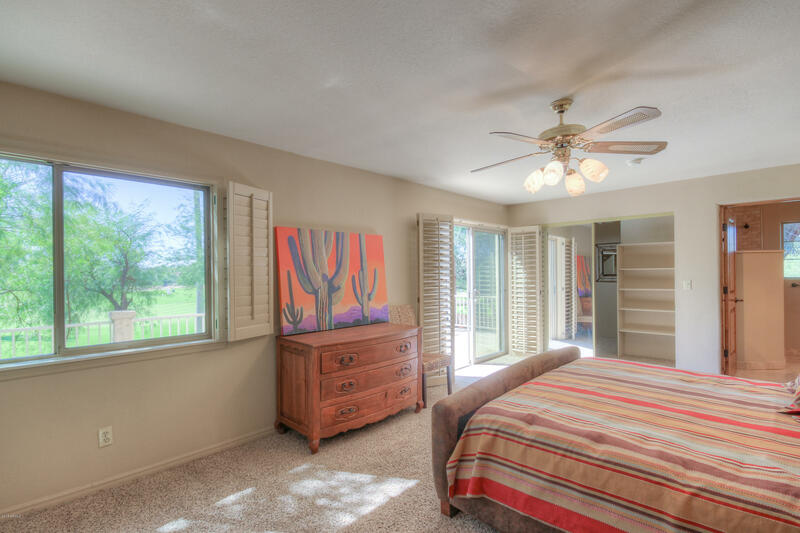 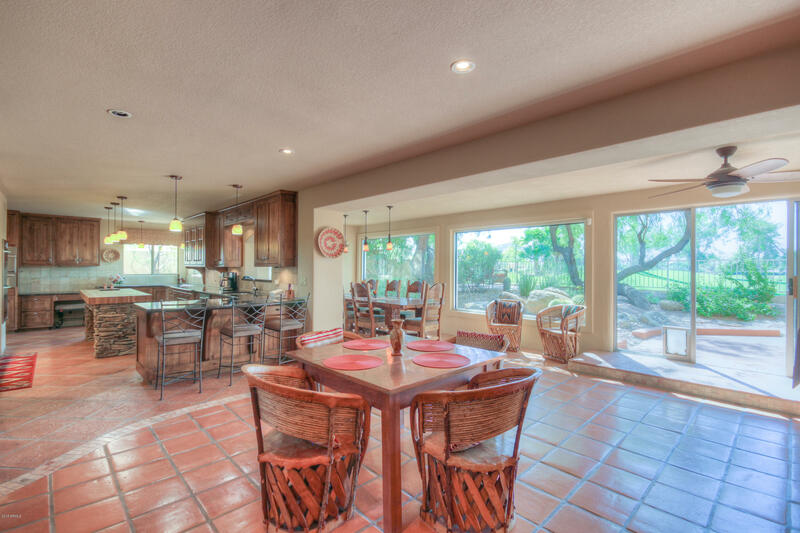 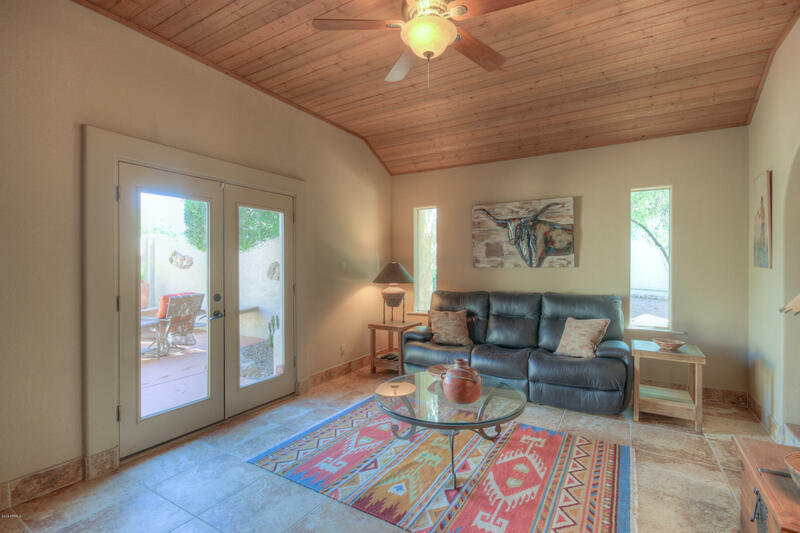 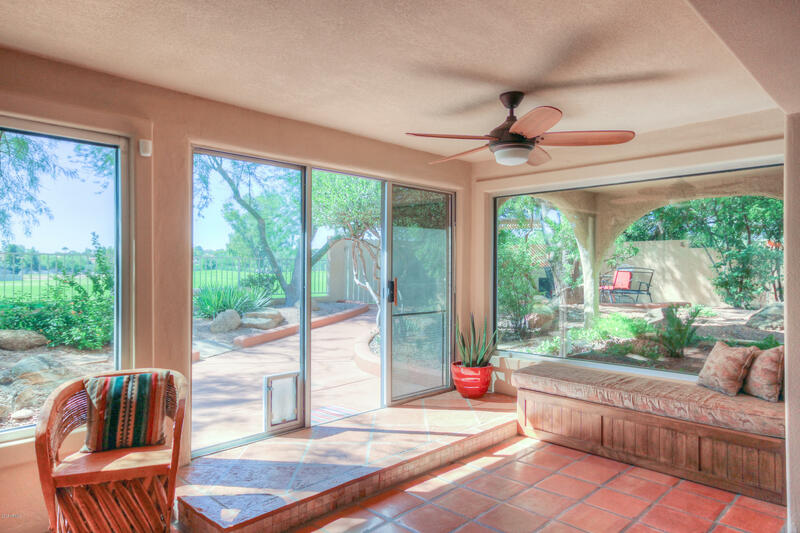 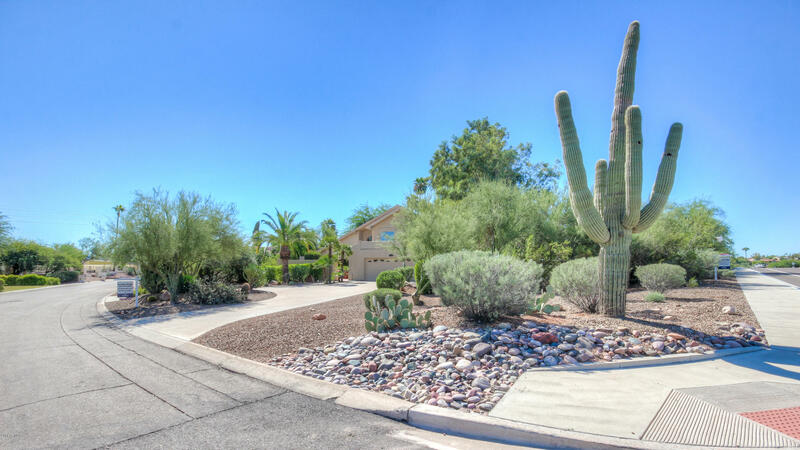 ft. home, just shy of a 1/2 an acre overlooking the 6th green of the Desert Canyon golf course in Fountain Hills! 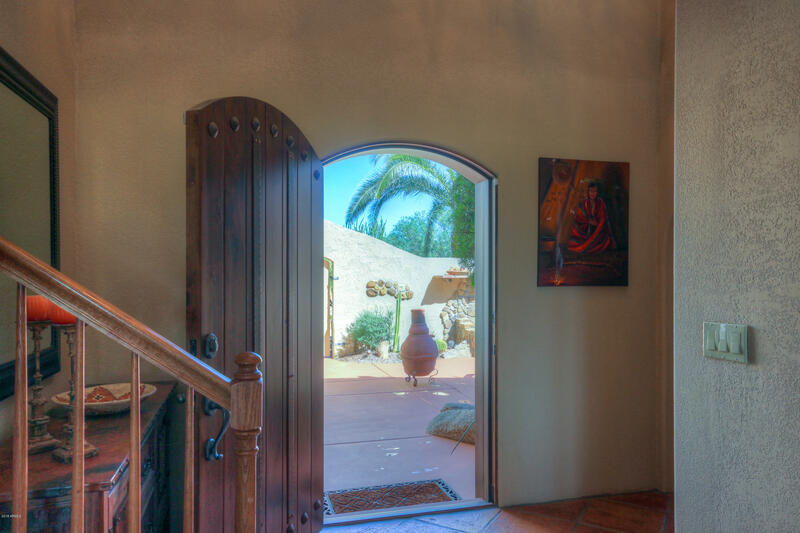 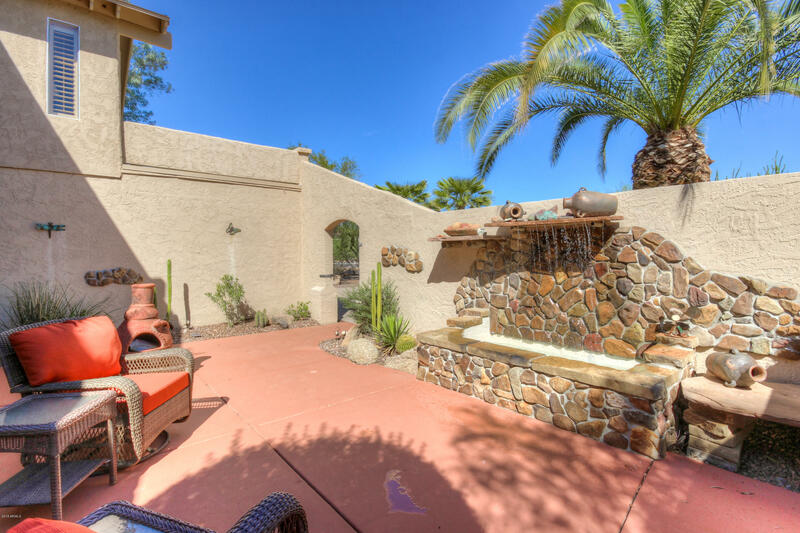 Enter to a peaceful courtyard with a waterfall & room to relax. 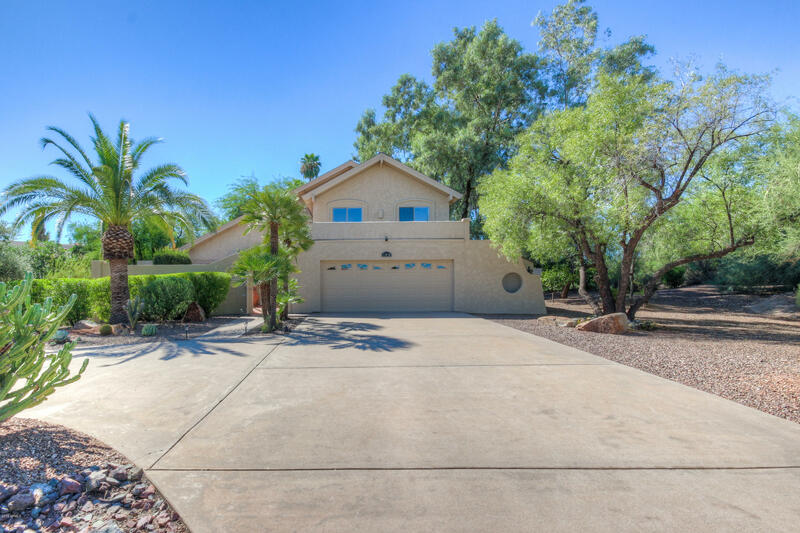 This perfectly remodeled home offers a living room, great room with gas fireplace, dining room, lots of natural light & a fabulous chef's kitchen with granite counters, butcher block center island with stone accents, stainless steel appliances & so much more! 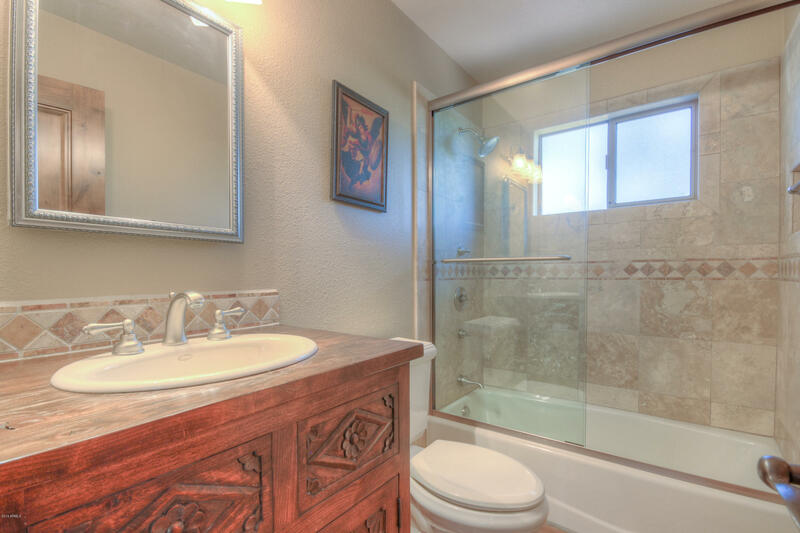 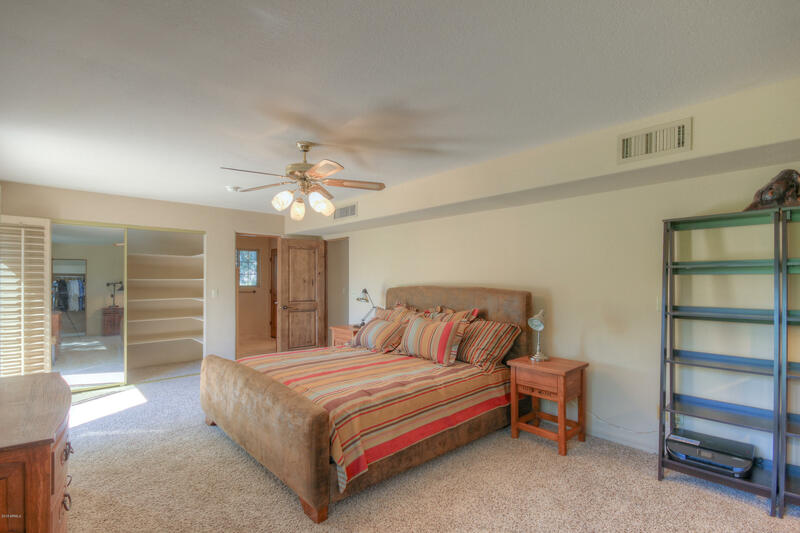 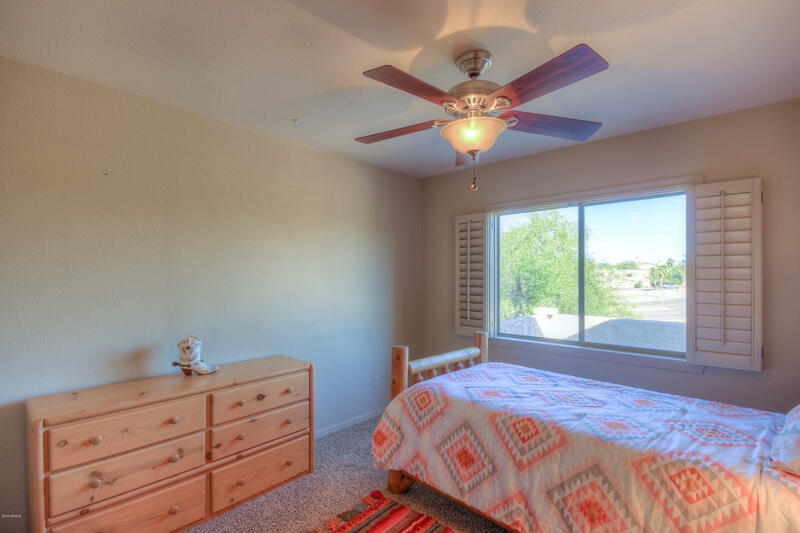 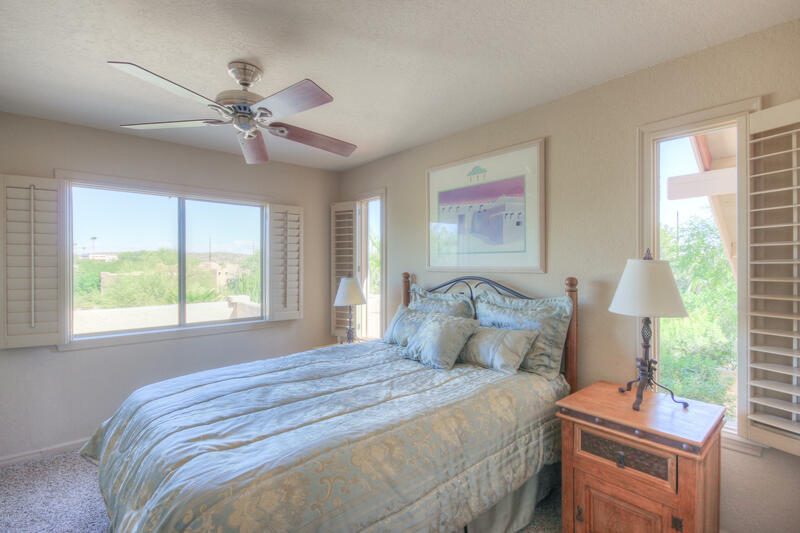 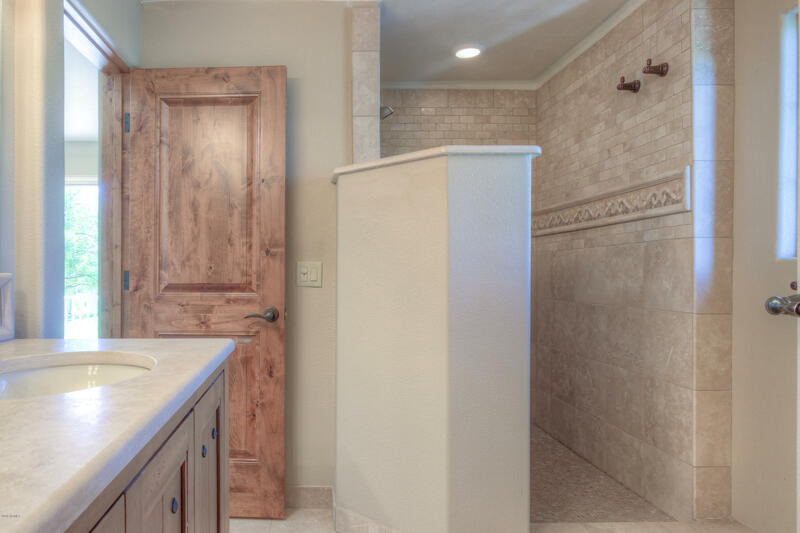 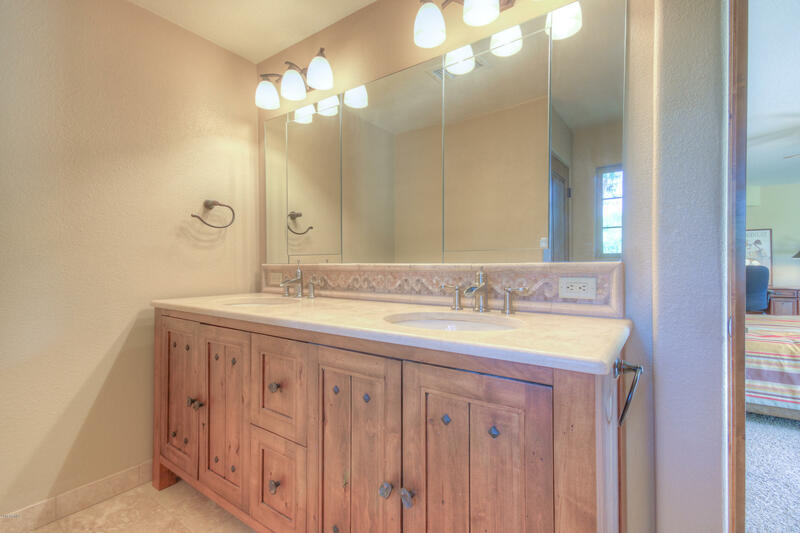 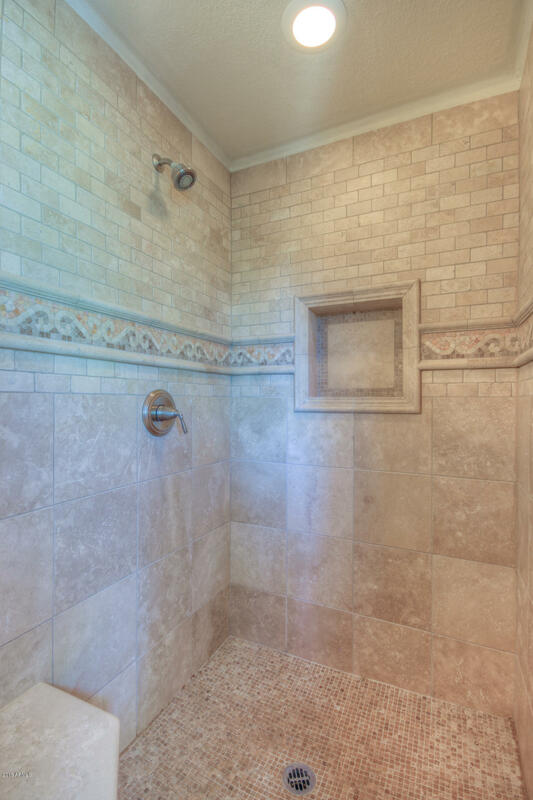 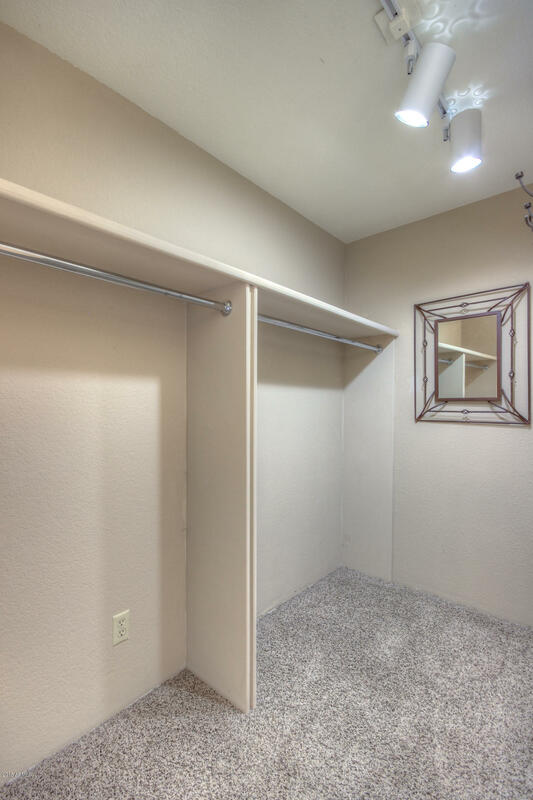 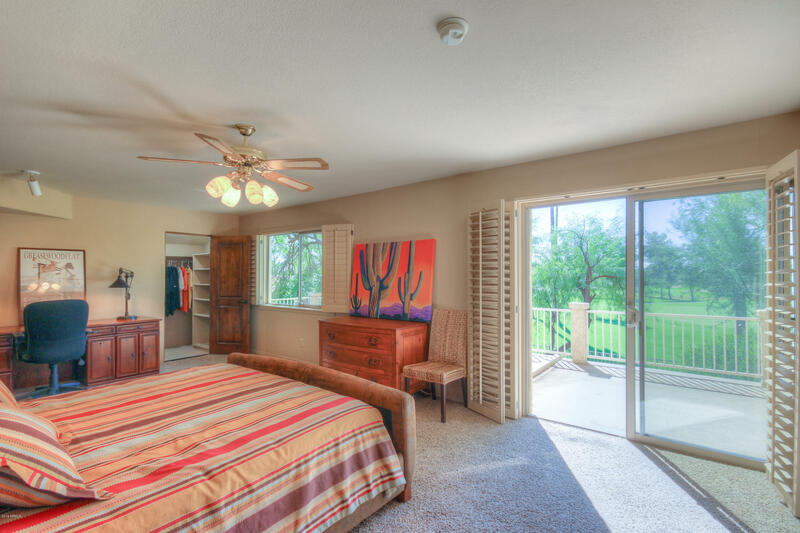 The large master bedroom includes a balcony, walk in closet & a bathroom with dual sinks & walk in shower. 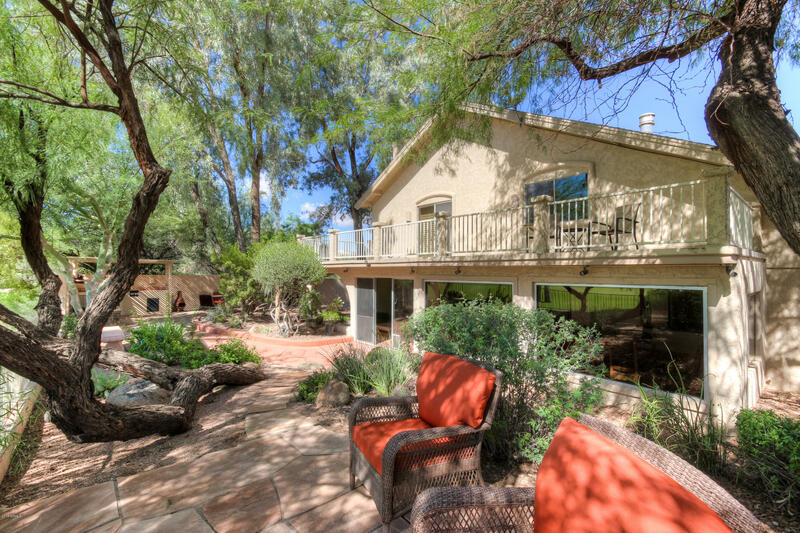 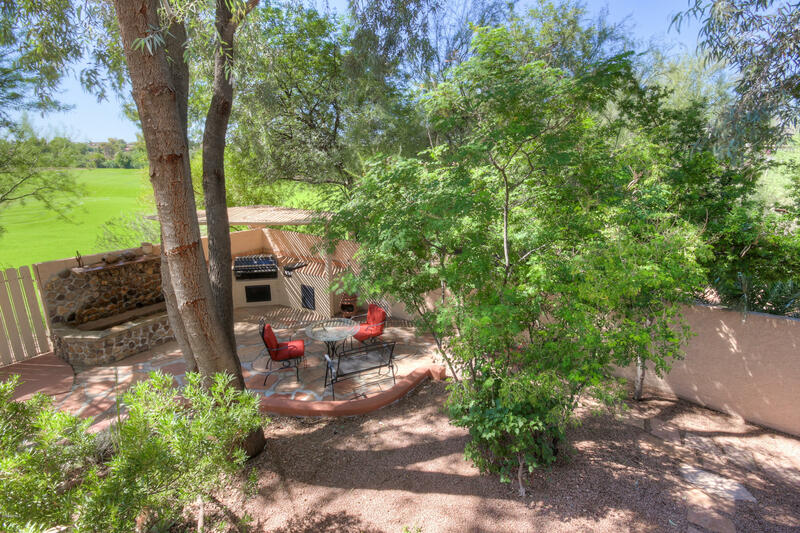 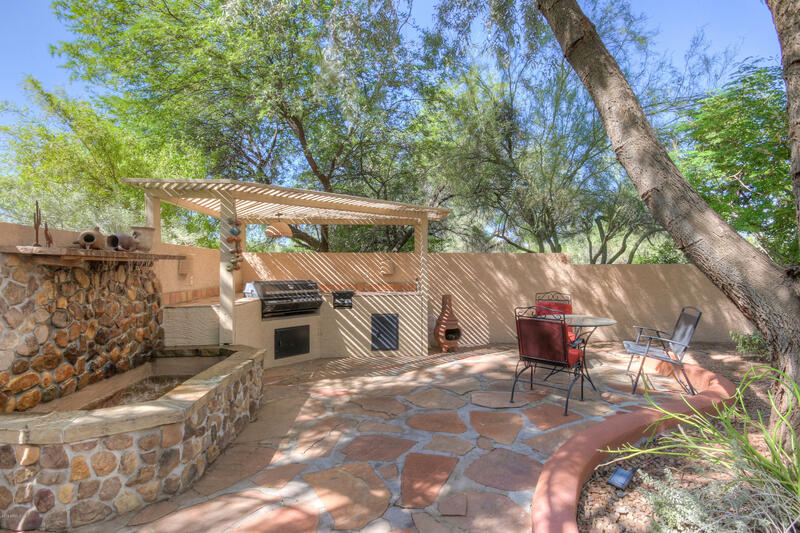 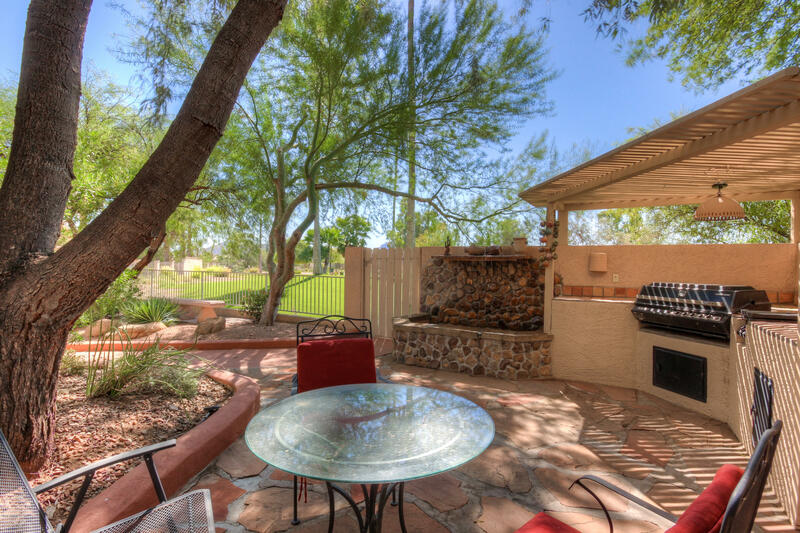 The backyard features lots of shade, a built in barbecue, an additional waterfall & fabulous sunset views! 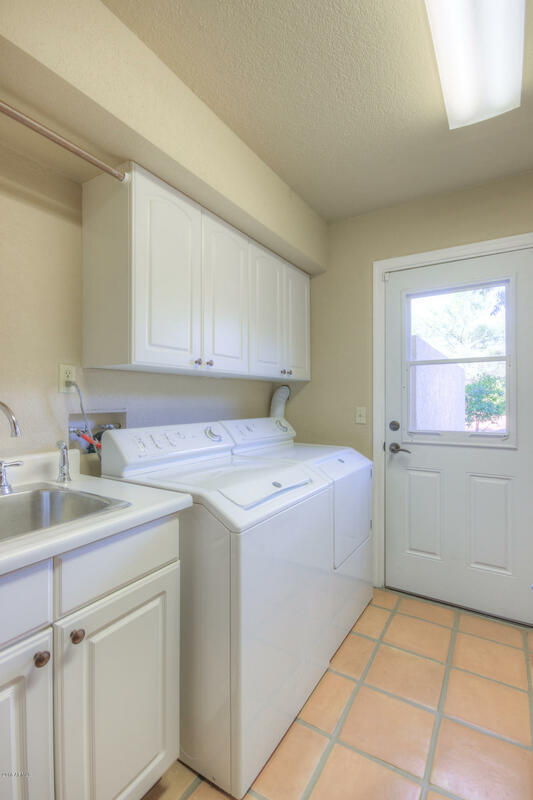 Also, the taxes are low & there's no HOA! 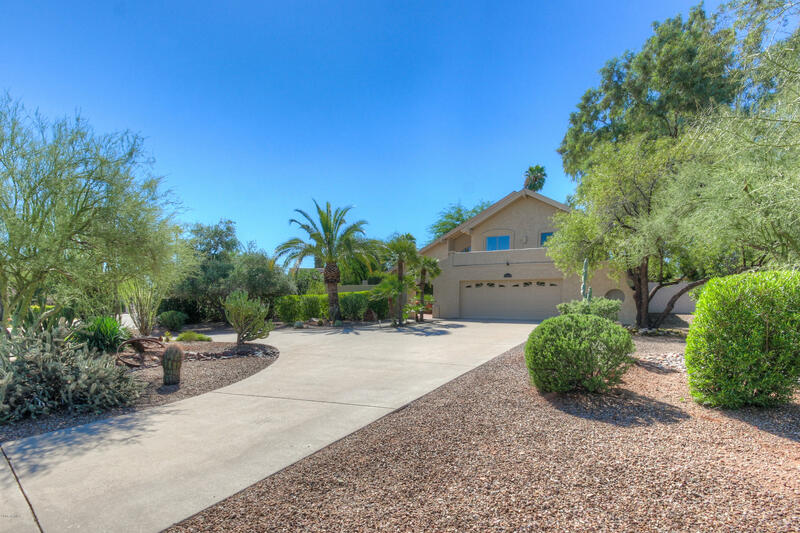 Don't miss out on this incredible home, come and see it today!